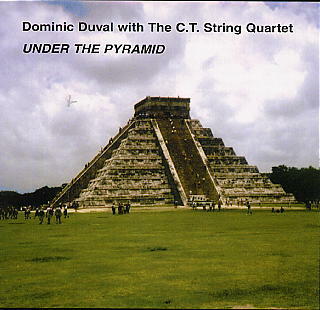 Dominic Duval's previous CDs with the C.T. String Quartet got the highest critical acclaim. With this new recording, Dominic Duval (bass), Tomas Ulrich (cello), Jason Hwang (violin) and Ron Lawrence (viola) take their instant composing to new heights. These four virtuosos sacrifice their egos for the sake of finding a totally unique sound in the history of chamber ensembles.